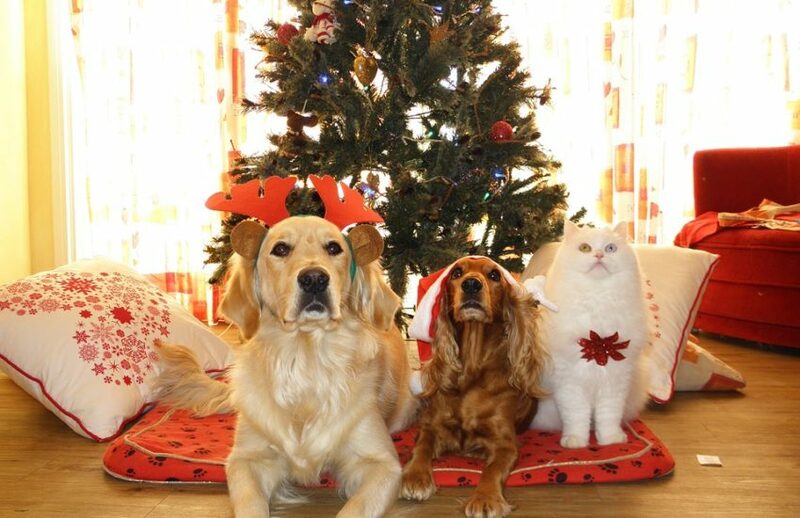 If you’re considering getting a pet for a Christmas present, then ensure you’ve done your research into the costs and responsibility involved. A pet is for life, not just for Christmas – sadly, there’s a reason why this catchy charity slogan was coined by The National Canine Defence League as far back as 1978. Pet abandonment is rife following the festivities as new owners find themselves unprepared for the responsibilities of pet ownership. As many as one in ten puppies are abandoned within a month of arriving into a new home, as owners admit to not understanding the level of cost and commitment involved. But as devastating as these statistics are, the majority of potential owners have the means to welcome many types of furry friend into their homes. And there’s few things as rewarding as seeing your loved one’s face light up when they’re greeted with a new pet on Christmas Day. So, as long as you’ve done your research into the type of animal you’d be willing and able to raise responsibly, here are five excellent pet choices this Christmas. Christmas Day with a cute new puppy running around your living room, is an experience you’ll never forget. Before deciding what breed to go for, look into how much exercise they’ll need each day and if this fits in with your work life. Dogs don’t like to be left alone for long periods of time either, so have a think about whether a dog is the right choice for you. Also research the cost of vet insurance, and how much dog food will add to your weekly shopping budget. Cats are much more low maintenance in the long-run as they tend to come and go as they please. But you’ll need to be very hands-on at first, as kittens need to eat four times a day until they’re twelves weeks old. It’s also not advised to leave your kitten outside alone until it’s at least six months old. This is one of the easiest pets to care for, and as such it makes a fantastic first pet for children if that’s a consideration for you. In terms of responsibility, you’ll need to feed your fish every day, but tank cleaning duties are usually only required every fortnight. Although fish offer a lot less interaction than a puppy or kitten, there’s something incredibly soothing and captivating about watching a fish swim around in the water. They may be small and cuddly, but guinea pigs require daily outings from their cage to keep them healthy and happy. You’ll also need to provide them with fresh water every day and fresh vegetables. The local pet shop in Wickford recommends buying specialist guinea pig food to ensure that you’re meeting their daily nutritional requirements. Guinea pigs make the perfect Christmas pet because they’re clean, intelligent and love to snuggle with you. In some countries it’s illegal to buy guinea pigs individually, as they should be kept together in pairs for companionship. It should be obvious that buying a pony for a Christmas present is an incredible commitment, both in terms of money and time. If the recipient has a strong passion for ponies, then this is the perfect gift, but be aware that as well as the cost of the pony itself, you’ll also be looking at an annual spend of between £3,000 to £10,000 depending on the livery you’re able to commit to. If you’re buying a pet to give as a Christmas present, then remember to plan the festivities around your new arrival. Lots of noise and extra family members may disturb your new addition, so try and keep things calm at home to allow your pet to settle in properly.